Huntingdon is one of Pennsylvania’s best examples of what towns can be, and we are proud to call it our home. Juniata College is a commonwealth within a commonwealth. 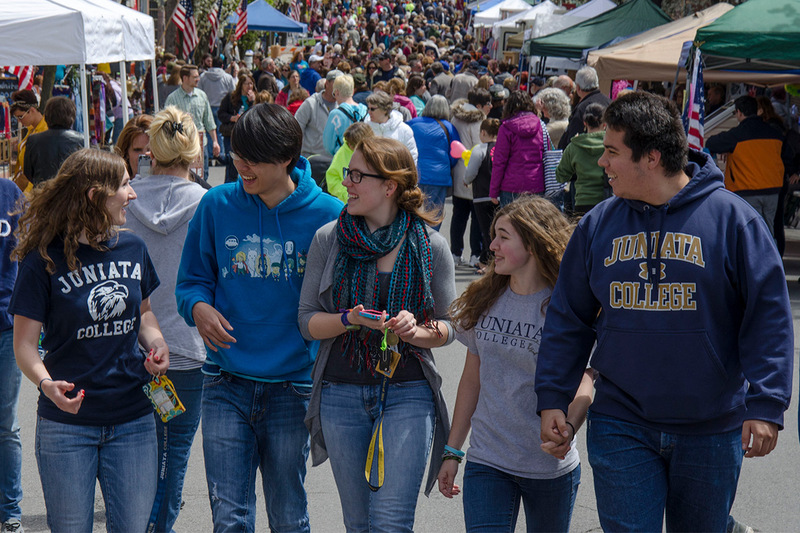 Just as our College is built of a community of faculty, staff, students, and alumni who know and care about each other, members of the Huntingdon community contribute to the health and vitality of the town and the magnificent region of south central Pennsylvania in which they live, work, and play. 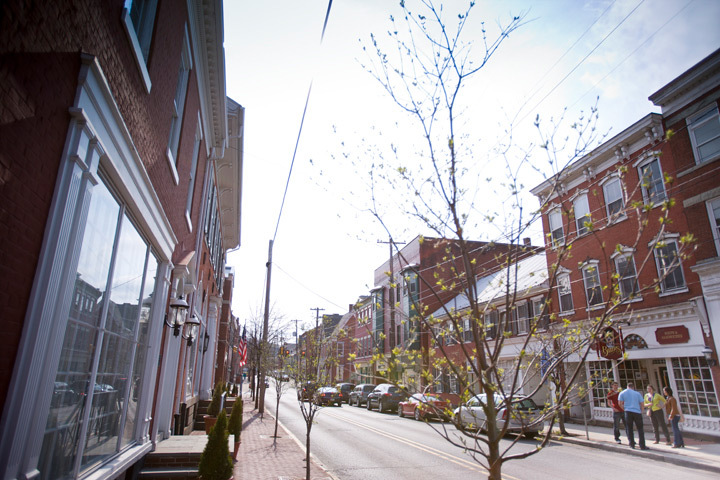 Huntingdon is one of Pennsylvania’s best examples of what towns can be, and we are proud to call it our home. Now passing over Tree City. Our trees are so important that Huntingdon has earned Tree City USA designation for more than a decade. Huntingdon, Pa., is a community that housed the inventors of the writing tablet and the technology to paint street lines. It is now home to the world’s only source for specialty fiberglass products used in everything from body armor to eighteen-wheelers. 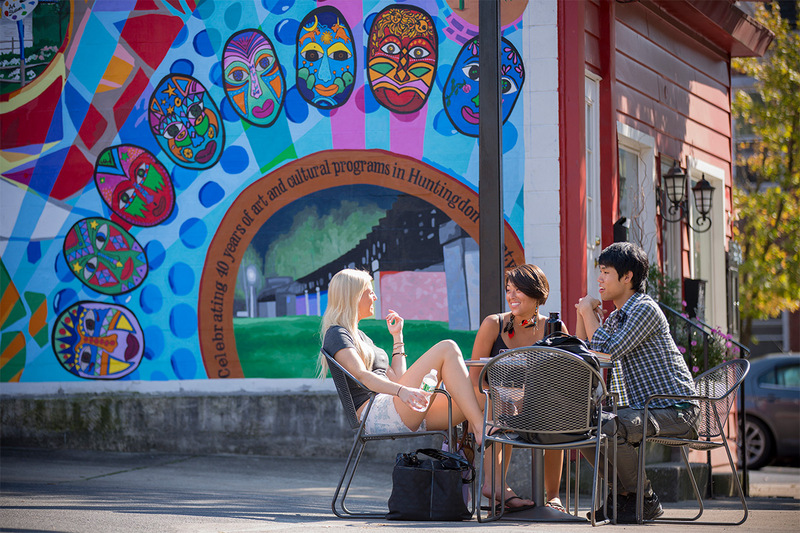 A town of more than 6,000 people, Huntingdon hosts monthly art walks, a MayFest street carnival, parades for more-than-the-usual number of holidays, a weekly farmer’s market and summer music series, and eateries and shops set amid homes on the National Historic Register. 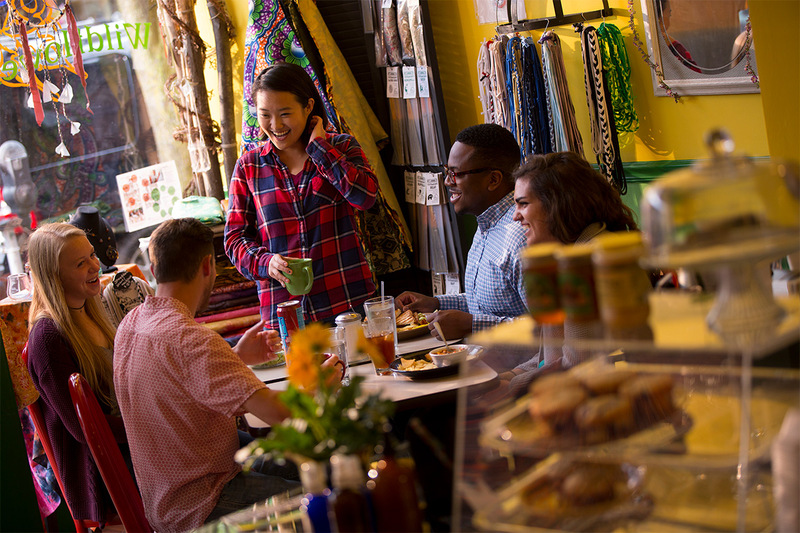 A modern oasis, our location lets Juniata students focus on the work of self-discovery. Love the Outdoors? You’ll Love It Here! The Borough of Huntingdon is the county seat for Huntingdon County, a destination that—thanks to Raystown Lake and the internationally renowned Allegrippis Trails—welcomes one million visitors a year who enjoy premium bike trails, breathtaking hiking vistas, some of the best trout streams in the world, and fall foliage unlike anyplace else. In fact, our trees are so important that Huntingdon has earned Tree City USA designation for more than a decade. College Town or Town With A College? 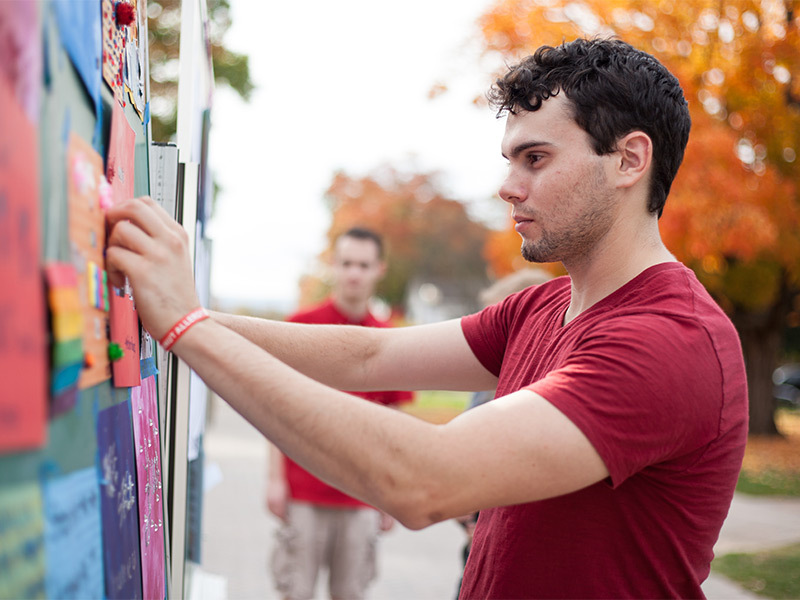 Huntingdon provides a breadth of opportunities for Juniata students, for both internships and community service. Our students gain career experience at Huntingdon’s J.C. Blair Memorial Hospital, Mutual Benefit Insurance Group, alumni-owned businesses, and county government offices. Chemistry and art students have worked with our local General Electric branch, using advanced instrumentation to authenticate items from the Juniata College Museum of Art. 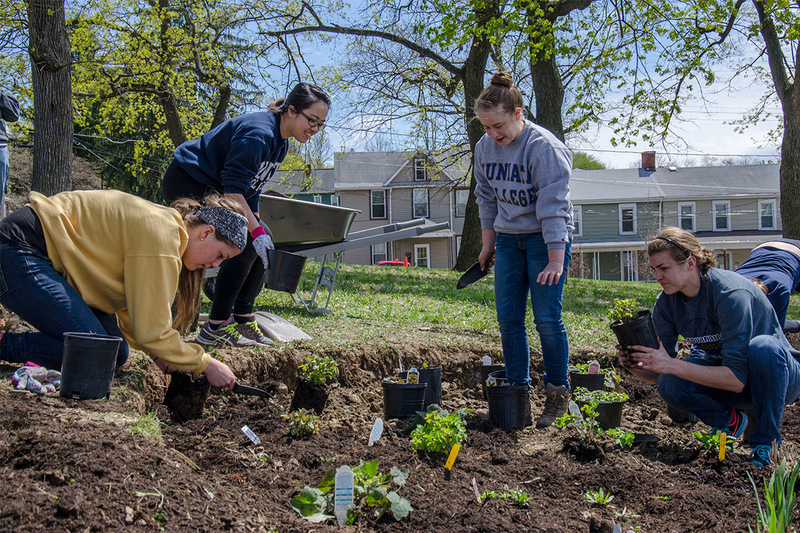 In turn, Juniata students volunteer with more than 20 community agencies, including the Huntingdon Community Center, the county humane society, the historical society, and Big Brothers Big Sisters, to name but a few. So, is Huntingdon a college town? Or is it a town with a college? You’ll have to come and decide for yourself. A growing tradition. Here, Bonner Leaders build a rain garden in town.